Short Sale Factsheet 8-9-11 - HDF: Housing Development Fund, Inc.
SHORT SALES Frequently Asked Questions This factsheet is provided for information purposes only. It is not a substitute for advice from legal, accounting, housing, or real estate professionals. Please seek professional advice for information specific to your situation. ** (Note: The term “lender” has been used through this factsheet. It should be understood that you may be negotiating with a bank, lender, or servicer.) 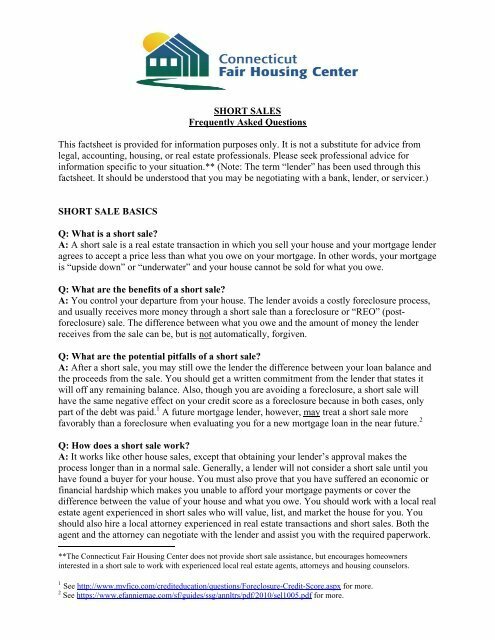 SHORT SALE BASICS Q: What is a short sale? A: A short sale is a real estate transaction in which you sell your house and your mortgage lender agrees to accept a price less than what you owe on your mortgage. In other words, your mortgage is “upside down” or “underwater” and your house cannot be sold for what you owe. Q: What are the benefits of a short sale? A: You control your departure from your house. The lender avoids a costly foreclosure process, and usually receives more money through a short sale than a foreclosure or “REO” (postforeclosure) sale. The difference between what you owe and the amount of money the lender receives from the sale can be, but is not automatically, forgiven. Q: What are the potential pitfalls of a short sale? A: After a short sale, you may still owe the lender the difference between your loan balance and the proceeds from the sale. You should get a written commitment from the lender that states it will off any remaining balance. Also, though you are avoiding a foreclosure, a short sale will have the same negative effect on your credit score as a foreclosure because in both cases, only part of the debt was paid. 1 A future mortgage lender, however, may treat a short sale more favorably than a foreclosure when evaluating you for a new mortgage loan in the near future. 2 Q: How does a short sale work? A: It works like other house sales, except that obtaining your lender’s approval makes the process longer than in a normal sale. Generally, a lender will not consider a short sale until you have found a buyer for your house. You must also prove that you have suffered an economic or financial hardship which makes you unable to afford your mortgage payments or cover the difference between the value of your house and what you owe. You should work with a local real estate agent experienced in short sales who will value, list, and market the house for you. You should also hire a local attorney experienced in real estate transactions and short sales. Both the agent and the attorney can negotiate with the lender and assist you with the required paperwork. **The Connecticut Fair Housing Center does not provide short sale assistance, but encourages homeowners interested in a short sale to work with experienced local real estate agents, attorneys and housing counselors. 1 See http://www.myfico.com/crediteducation/questions/Foreclosure-Credit-Score.aspx for more.  2 See https://www.efanniemae.com/sf/guides/ssg/annltrs/pdf/2010/sel1005.pdf for more. Magazine: Short Sale Factsheet 8-9-11 - HDF: Housing Development Fund, Inc.